[PDF] Time Machine Tales: The Science Fiction Adventures and Philosophical Puzzles of Time Travel (Science and Fiction) | Free eBooks Download - EBOOKEE! Description: This book contains a broad overview of time travel in science fiction, along with a detailed examination of the philosophical implications of time travel. The emphasis of this book is now on the philosophical and on science fiction, rather than on physics, as in the author's earlier books on the subject. In that spirit there are, for example, no Tech Notes filled with algebra, integrals, and differential equations, as there are in the first and second editions of TIME MACHINES. Writing about time travel is, today, a respectable business. It hasnt always been so. After all, time travel, prima facie, appears to violate a fundamental law of nature every effect has a cause, with the cause occurring before the effect. Time travel to the past, however, seems to allow, indeed to demand, backwards causation, with an effect (the time traveler emerging into the past as he exits from his time machine) occurring before its cause (the time traveler pushing the start button on his machines control panel to start his trip backward through time). 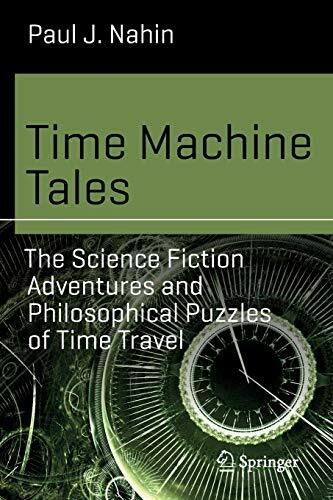 Time Machine Tales includes new discussions of the advances by physicists and philosophers that have appeared since the publication of TIME MACHINES in 1999, examples of which are the chapters on time travel paradoxes. Those chapters have been brought up-to-date with the latest philosophical thinking on the paradoxes. No comments for "[PDF] Time Machine Tales: The Science Fiction Adventures and Philosophical Puzzles of Time Travel (Science and Fiction)".